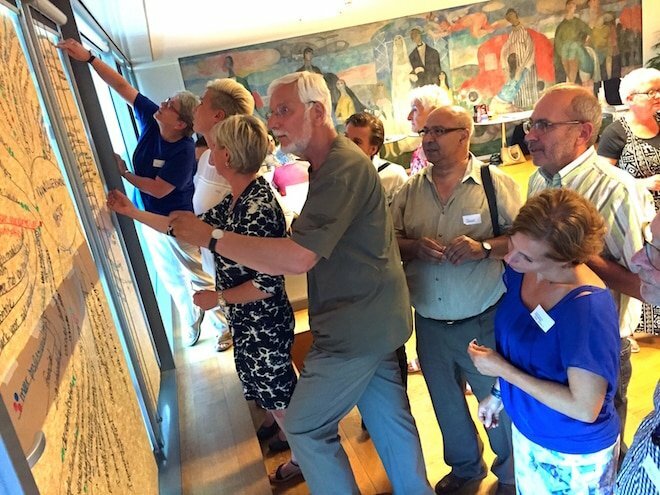 On June 14, the new subsidy system for volunteer work was approved by the Maastricht city council, with “extensive compliments to everyone” by the council. The new regulation has been developed through a participatory process with a wide representation of various stakeholders. Traditional voluntary organizations who have been active for years participated, as well as some professional welfare and health organizations, and a number of new players who do not (yet) receive subsidies. In addition to civil servants, councilors and the occasional aldermen. The special feature of this new regulation is that it is not written by civil servants but by working groups with people from the field. The diversity of players and interests, combined with the motive to design a new policy -budget cuts and decentralizations in the social domain- at times led to heated tempers. By going step by step and providing plenty of space for genuine dialogue and co-creation, a broadly supported new policy was gradually developed. The dialogue process has been designed and facilitated by Petra de Boer, Han Rakels and Michiel Damoiseaux, in close collaboration with the policymakers at the municipality. Anne van Marwijk was in charge of visual reporting.